How many promises have you made to save more and spend less? 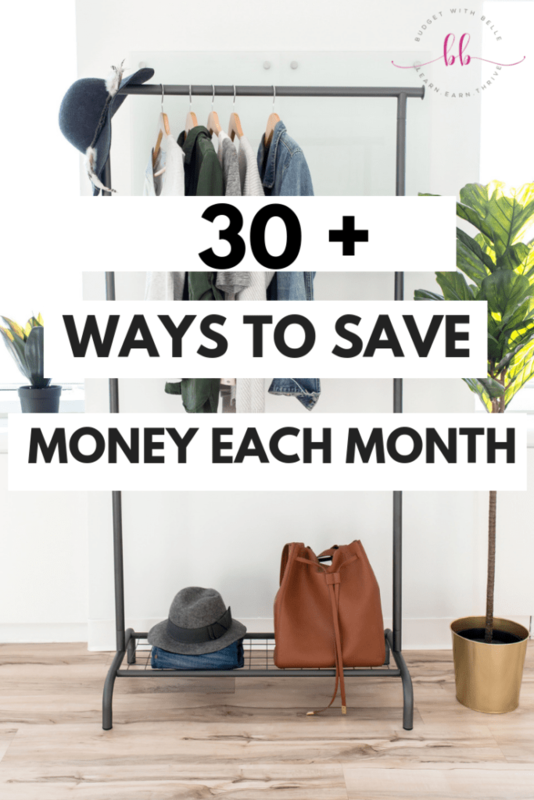 Regardless of income, here’s 30 + ways to save money this month. I’m frugal, I’ll be the first to admit it. I like bargains. Although I’ve never had the fortitude or willpower to extreme coupon, the idea is intriguing. In the meantime, however, I save money elsewhere. No matter how much your income is, we can all do better with saving some money every month. 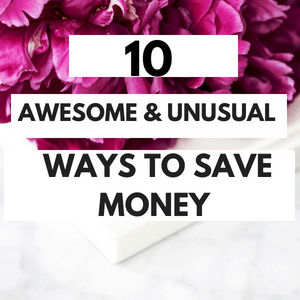 I highly recommend these budgeting and savings tips. I think everyone can put some if not most into practice, a lot of them you might have heard before, but a nice refresher never hurts. While others may be new to you. 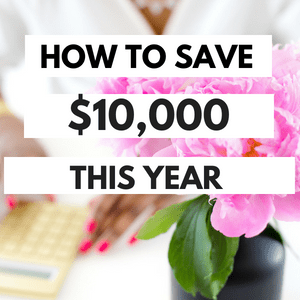 Either way, following these simple easy tips, can help make your money go further along the month. 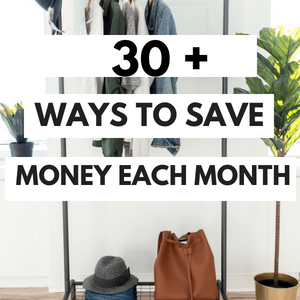 Here’s are 30 + ways to save money this month. 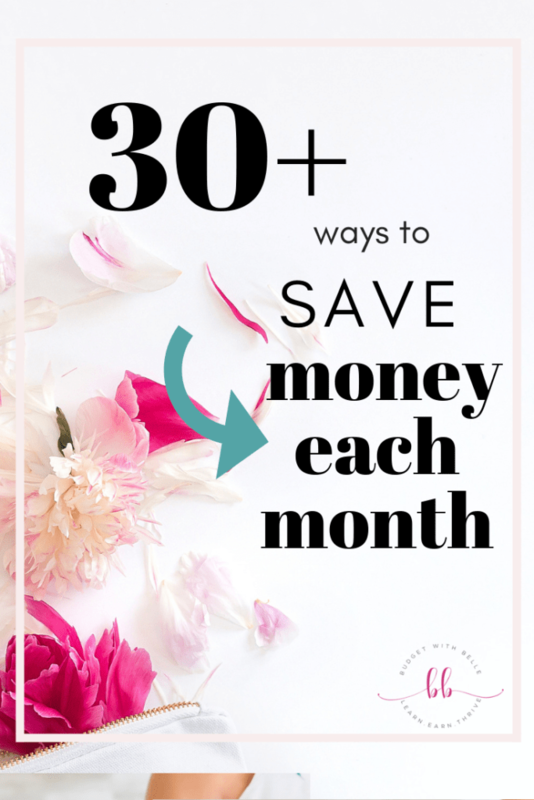 Keep reading below to discover new and easy ways to how to save money each month. Before making your next purchase, determine if it is a necessity. Sleep on it for a while, see if you feel the same about it in the morning. If not, there is a strong possibility that you should refrain from purchasing. Unfortunately, there are many who do not understand the value of money and how small indulgences can lead to huge expenses. Although it is good to reward yourself, this should be done in moderation-if saving is your ultimate goal. Use coupons or cash back apps, like Ibotta or Walmart Savings Catcher to save money. Most stores now have digital coupons that you can load on their store rewards cards which makes using coupons super easy. Remember, “mail-in rebate programs?” No? Me neither. Well, there’s a new kid in town, and she’s here to stay – online rebate programs is that + more. Popular rebate sites such as Ebates and BeFrugal are changing the game in terms of saving by making some money while shopping. The best part – there’s no mailing in or hoping they received your rebate and crossing your fingers that it wasn’t lost it in the mail. None of that. I’ve made hundreds of extra dollars using Ebates, and the likes. There is a plethora of information available on financial topics. Reading books, blogs, and networking are great ways to get educated about financial matters. In addition, many educational and financial institutions offer workshops specifically addressing the needs of those who wish to become more financially savvy. 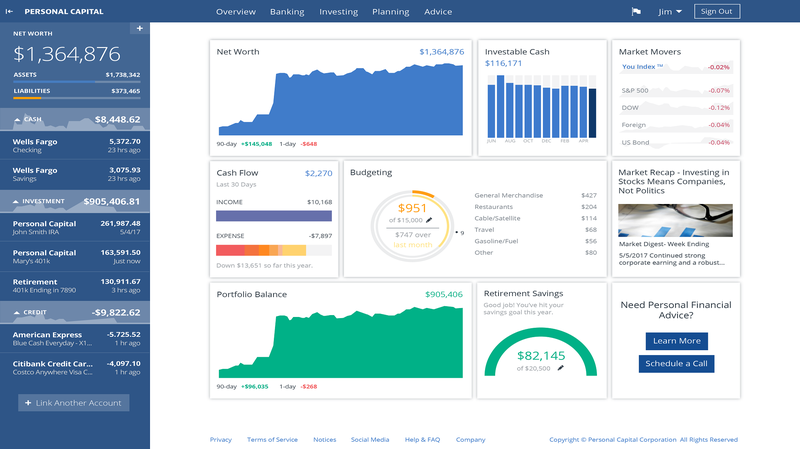 Simply creating a budget that tracks all income and expenses. Your budget forecasts current and future spending. In addition, it helps you to gain greater control over your finances. Although there are many sophisticated budgeting worksheets available, I recommend starting simple. You do not want to become overwhelmed or spend extra money developing a method you are unable to maintain. Instead, you may consider downloading an app online. Mistakes happen, and it seems as if they pop up on bills quite frequently. How closely do you read your statements, receipts, and bills? Do you take the time to review the actual charges, or do you simply assume that the bill is correct? Remember that when it comes to numbers, errors happen frequently. It is estimated that consumers lose billions making unnecessary overpayments on accounts each year. For example, cell phone bills are notorious for being wrong. Re-examine last year’s taxes. If you have the time and gumption, there may have been a few deductions you may have missed. If they are large enough, the government may owe you money. Double check your bills to see where you can save some money. Do you enjoy giving creditors extra money? If you answered no, the best way to prove this is to pay your bills on time. When you pay bills late, you are penalized by paying a late fee. On top of the interest, you might be paying if you’re carrying a balance. Not only does this create a pattern for poor credit, but it also forces you to pay extra money. A good rule of thumb is to pay bills before or on the date required. If you pay your credit card bill sooner than usual, you may be able to lower the interest you are charged on it. 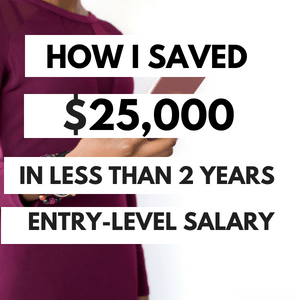 This helps you to avoid late fees and moving you one step closer to financial freedom. My spin on the good ol’ “spring cleaning” sweep cleaning. Sweep cleaning is a debriefing of all your personal financials on a quarterly basis. Your garage and basement are not the only areas that require cleaning every few months. Your budget needs looking at often, sweep cleaning your finances is a good way to see if you’re on track or have fallen off the wagon to financial independence. I wrote a whole post on “spring cleaning” your finances. And I think it’s pretty good if I do say so myself. Read it here. We hear this time and time again. Meal planning will help save you money. I’ll make it better, plan your meals around sales, you’ll save double. If your local grocery store has a sale on freezer meals that your family enjoys. Buy a few and store them in your freezer for future meals. If ground beef is on sale, make sure to pick some up and have taco Tuesday and pasta bolognese on Thursday. Plan your grocery shopping ahead of time; make your lists and stick to it. This will tie in with preplanning your meals and household purchases. Avoid overspending on unjustifiable luxuries just because it had a “special offer” sticker on it. If you’re someone that end up buying items you didn’t original attend to purchase. ME! You should look into online grocery shopping sites, such as instacart. Picture this. You’re sitting in the comfort of your home, you whip out your device, and go online while browsing your home’s pantry. No rush, no lines, no anxiety. You get to plan out your meals for the upcoming week and BOOM. Order place and a nice delivery person drops off your food in under 2-hours. It’s a fee for service. But, worth looking into if you can afford it. When possible, buy essentials in bulk. This can include things like toilet paper and nonperishable food. It’s wise to buy in large quantities and stock them when they are on sale. It’ll work out A LOT cheaper per unit compared to buying in smaller quantities. And a good way to start your stockpile if you didn’t have one before. 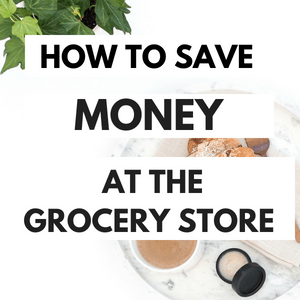 Do price comparisons between grocery (and the likes) stores and find the one that is the overall cheapest. The Internet has revolutionized the way we shop as a whole. So, use it to your advantage. If you have the time (ahem planning your meals before you shop) checkout online price comparison sites. These websites do not sell products rather they compare the price your desired product across a range of websites selling that service and compare their prices so that you get your desired product at the lowest price. Sites like Pricegrabber, Pricescan, Bizrate, Nextag, Shopping.com, eBay and Froogle. One neat site I like is Priceprotectr.com. This site helps you make sure you made a great deal by informing you if your item drops in price up to 30 days after purchase. Price adjustments are good not only for online items, but brick and motor retailers often offer adjustments for many items they sell like clothes or tools for a limited period of time. Comparing prices before you buy is a great money-saving tool that will help you decide which item to buy. A simple google search will conveniently help you find online price comparison tools of a wide variety of products ranging from grocery items to electronics and so much more. Don’t stick to a habit of going to the same store as it may cost you more than you think. Generic items are another great way to get the most out of the shopping dollar. Take advantage of the savings that are possible from buying generic brands. Buy generic brands of items you use a lot. Save around 10 – 50 percent for every grocery trip by swapping branded items for the generic ones. Generic brands can be as good as brand name items. They are also cheaper, so the amount you would usually spend on these goods will work out to be considerably less. You don’t have to give up on name brand products, but the more good judgment you use when you shop, the more money you will save. So, take advantage of the deals when you can, and enjoy a bigger bank account and full cabinets at home. 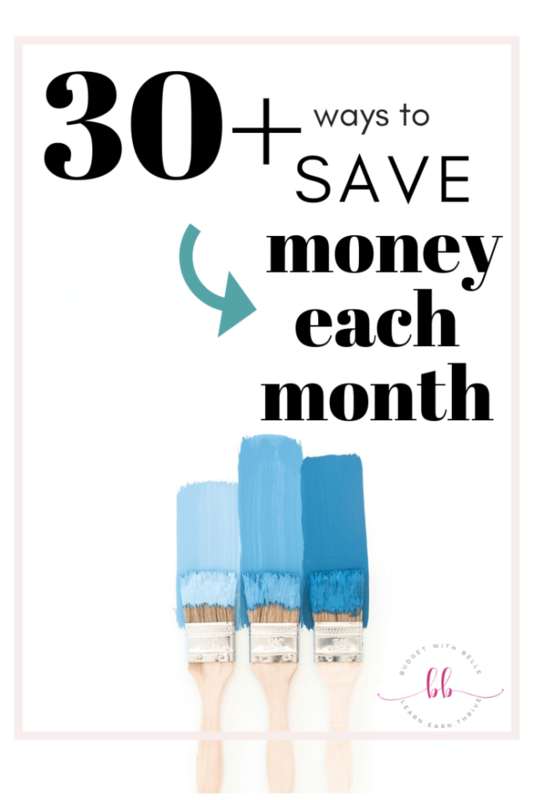 There are many ways to save money around the home. Get the whole family on board and save. Many companies today are focused on energy efficiency have their products readily available. Make sure your family is all aware of how to save money around the house so that everyone participates. A good incentive is to let them know that the additional savings from participating can add up and lead to special purchases and trips. Do you know how much money you make each month? If your expenses add up to more than you’re making, you need to evaluate your spending. Call your cell and landline (if you still have one) providers, and ask them to review your current plan to see if there are any new promotions that would lower your bill. Do the same for your cable bill. Or just cancel cable! I have eliminated cable a long time ago and just rely on internet service. Not having TV may seem hard at first, but the result has been a life changer for me. I am more creative, like writing this blog, and have more free time to pursue the things I want to do. In other words, do what it takes to save money each month instead of throwing it away on unnecessary expenses. I never started out being good at something, like migrating my site from one host to another, learning to code, or a number of other things I picked up along the way. But I surprise myself when I first learn how to do these things from a “How To” book or YouTube video. Obviously, you want to start small and simple to help build your skills and confidence. Whenever an opportunity presents itself, always take a moment to consider the possibility. It’ll help you save a lot along the way. Rent out a room in your home that you aren’t using, such as a spare room or garage area. A great place to check out is Airbnb, I highly recommend it. There are plenty of folks who need a simple place to stay and renting out a room may be a good short-term way to make money and you can use the funds you made to save or pay down debt. I know people who are making a full-time income from renting out their spaces on this site! Cray, I know. Beer, Colas and, Coffees. These beverage items are the real cost killer when you add it up. Your $4 lattes, $4 beer or twice a day $2 soda or $2 bottled waters add up to $120 a month alone. Tap water is free and healthier for you. 21. Use public transport or ride share instead of cabs. This will save you cash regardless of how little/often you may use cabs each month. 22. Clean your clothes as inexpensively as possible. Wash and iron your laundry yourself, or compare prices of different cleaners. If you can save even 50 cents on cleaning a shirt, that can add up to $100 a year in savings. 23. Keep all your loose change and put it in a set ‘coin’ jar. You’d be surprised at how those nickels and dimes add up over time. 24. Don’t use a tumble dryer. Tumble dryers can use quite a lot of electricity and higher electricity bills will cut significantly into your monthly budget. Instead, try hanging your washing outside to dry or using indoor racks on cloudy days to save the money. Additionally, a with washer/dryer use cold only for washing clothes. 25. Be aware of ATM fees. A recent trip to an ATM machine could cost $3, OR MORE, plus what your bank might charges. Some alternative around this is to bank online. Oftentimes, online banks are refunding $10 or more a month on foreign ATM fees. If you are not so lucky, bank locally. Or try the cash back method at certain stores that are FREE. 26. Do holiday shopping right after the holidays. By putting off gift opening to a few days after Christmas you can buy items for practically a steal. Also, try planning ahead and buying birthday or anniversary gifts while they are all on special. 27. Sign up for customer rewards programs at retail stores. Many retail outlets have programs which reward you for shopping there. They may give you cash for an exchange of ‘reward points’. You can save up these points, and when money’s tight, use the cash to buy your goods. 28. Skip Lotto. In tough times, more people play the lotto lowering your odds of winning, which is pretty low to begin with. If you must, once is enough. 29. Pricing out gas. Be cognizant of the differences in gas prices. While a penny may not make a difference, 20 cents for a 20-gallon tank saves $4 every time. Use Costco, Wal-Mart, and apps like Gas Price Watch to help spot the lowest cost stations. 30. Thrift stores or second-hand outlets are a good starting place where you can find decent quality clothes at a fraction of the cost as compared to brand name retail stores. Sometimes the only difference between clothes is the visible printed brand logo. I’ve scored so many times while thrifting. Buy used items when you can. Some are still good quality and may even still be under warranty. It will be much cheaper than buying new. Starting a blog is a great way to earn and save money! I started my blog in hopes that it grows into a full-time income so I can stay-at-home comfortably with our baby girl and things are looking up. No full-time income yet. But, your girl making more than pennies! Work out your hourly wage before going shopping for clothes. Then, take the amount of any item you want to buy and divide it into your hourly wage. For example, if you find a $50 pair of shoes, compare it to your hourly wage. Say you earn $10 an hour. If you work it out that pair of shoes is equivalent to 5 hours of work, almost a full days work! Honestly, ask yourself it spending that many hours work just for a pair of shoes is worth it. It will help you keep things in perspective. 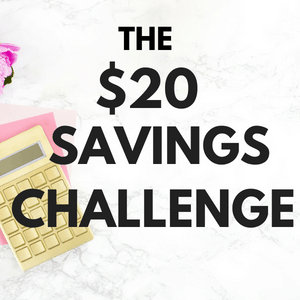 What are some ways you save money each month? Can you think of anything else this list might need? Yay! I think I found my new favorite blog! I completely agree that eating out can be so expensive. Even getting a sandwich at QuickChek adds up (even though they are so goood). I cancelled my gym membership to save some cash for the time being and the only recurring luxury we allow ourselves is a monthly subscription to Audible. Yay! That made my day, thanks, Diana. wanna learn how to grow your savings?